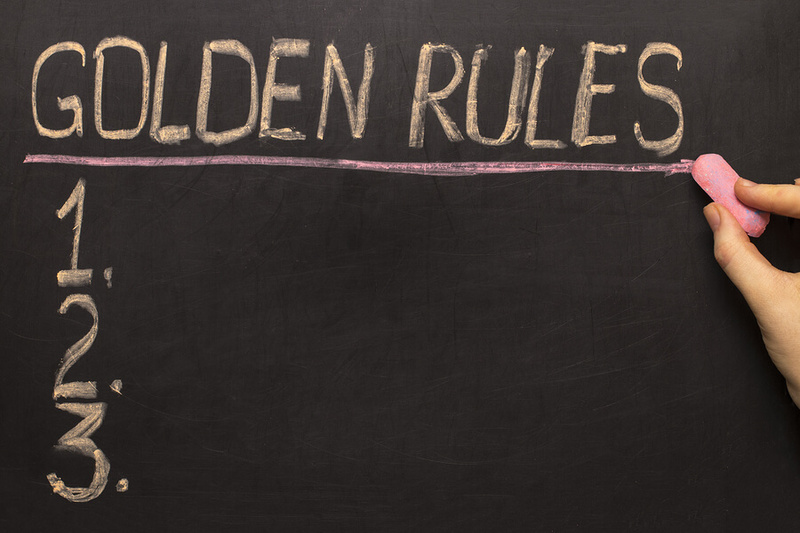 Home | Luxury Rehab | Why Do Rehabs Need Rules? Why Do Rehabs Need Rules? When addicts enroll in a treatment program they are provided with many opportunities to improve their health and create better lives for themselves. However, the environment that allows them to learn and grow can also be relatively strict compared to the freedom they had in their personal lives. Rehabs tend to have a certain structure and set of rules because this is something that many addicts need but aren’t able to create on their own. Patients in rehab center are expected to follow all the rules laid out for them when they enroll otherwise they might risk being kicked out. Everyone in the treatment program is closely monitored to make sure they are following the rules and are not endangering themselves or anyone else in the program through their behavior. The rules of rehab are designed not only to protect the individual but also the community as a whole. In order for patients to get the best experience and have the chance to stay the full length of treatment, it is important for them to know all the rules and be aware of them at all times. Rules in rehab create harmony and trust and make it easier for each resident to avoid distraction from their recovery work. Being told what they can and can’t do can be challenging for some addicts but it is necessary in order for the treatment environment to work for every patient. Many of the rules that are in place at a rehab center are designed for the safety and well being of everyone in the program. One of the most obvious rules that residents need to follow is to never sneak in alcohol or drugs. Even if it is just for yourself it could endanger other people in the program who need to avoid triggers and temptations. Other rules that some rehabs often enforce are requiring residents to stay on the grounds of the facility, only smoke in designated areas, no cell phones, tablets or computers, only read recovery-related or spiritual material and avoid romantic or sexual relationships while in treatment. Some treatment centers may have more or less rules than this depending on their approach to recovery and what they expect of their patients. Most rehabs also require that patients attend all of their scheduled activities, meal times and therapy sessions. These kinds of rules in a rehab center keep things organized and allow people to stay on track. They also help build trust between community members so that they know nothing is going to endanger their recovery. If someone breaks a rule it can cause tension, distraction and it can affect everyone in the program. Rules such as not using cell phones and avoiding romantic relationships are usually in place to minimize triggers and distractions that can make it harder for patients to focus on recovery. Focus and peacefulness are very important in recovery because the first few months of sobriety are incredibly challenging. Patients need to have their mind clear so that they can do a lot of more personal emotional work with their therapist. People with addictions may have reached a point after years of substance abuse where they are no longer able to respect boundaries with other people. To fuel their addiction they may have broken many rules and ruined the trust that they had with friends and family. They could have crossed many mental, emotional and physical boundaries because their only thought was to be able to continue using drugs. Having a set of rules in rehab helps addicts learn to respect boundaries again and be more responsible in their concern for others. It also helps prepare them for life on their own where they will need to learn to respect the rules of the workplace and have more boundaries in their personal relationships. If they can follow the rules of rehab then it can make them more conscious of others in general which will help them when they return home. When addicts are still struggling with substance abuse they may find it hard to create structure and routine in their life that keeps them on a positive path. Their lives can become chaotic as they try to follow their own selfish needs and desires. Having rules and a fixed routine can be good for patients that need to be more disciplined in their behavior. Patients are able to get the best results from treatment when they follow all the rules and understand why they are in place for residents. Breaking a rule means jeopardizing your own health and safety, the safety of others and your ability to stay in the program. Rules in rehab are not arbitrary or unnecessary; they are specifically designed to help everyone in the treatment community.